I love September! It’s the start of fall, the weather gets cooler, and everything feels crisp. The downside is that, in SW Ohio, at least, farmers markets aren’t around much longer. 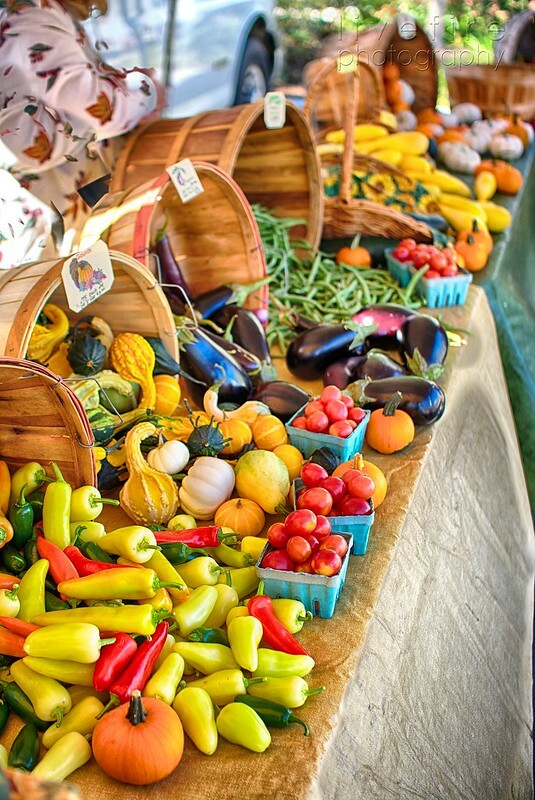 However, it’s also a great time for farmers markets, as there is still a lot of local produce to enjoy. 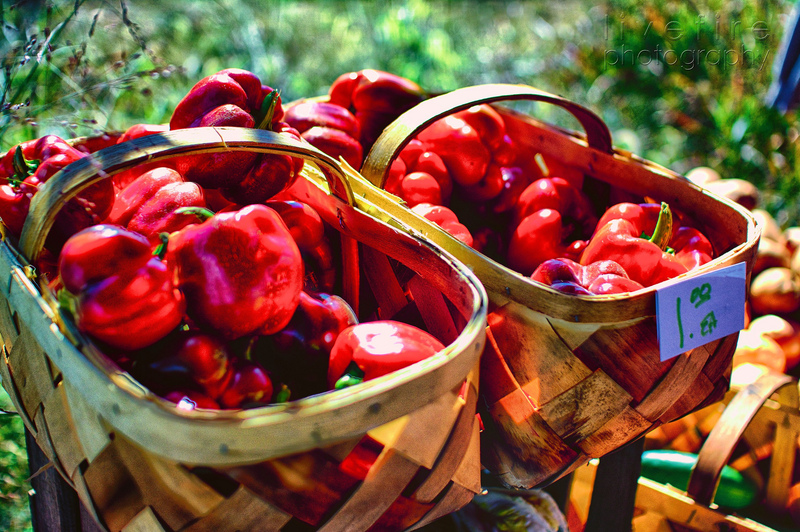 Peppers/chiles are still in abundance, along with some tomatoes, beans, etc., and apples are coming out! That means cider, too, and there are a lot of great orchards around. Rice Family Harvest is a local family that is all about good produce, from veggies to apples. 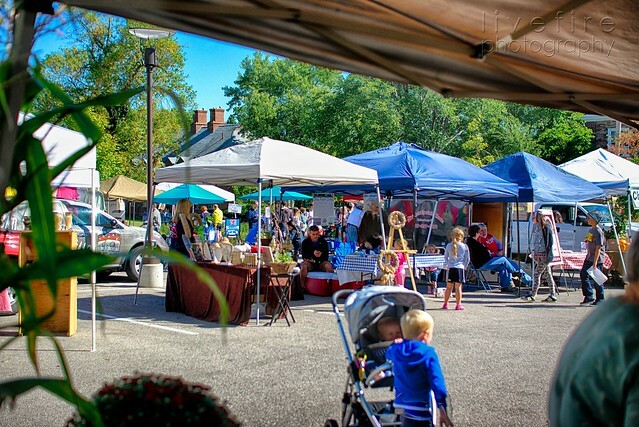 I stopped by the Oakwood Farmers Market this past weekend with my wife (Dayton). This is the first year for Oakwood to put on a market, but it instantly became my favorite in the area. They have live music that was 1. good, and 2. not so loud that I couldn’t talk to my wife or vendors. Also, there’s a huge variety, even at a smaller market. 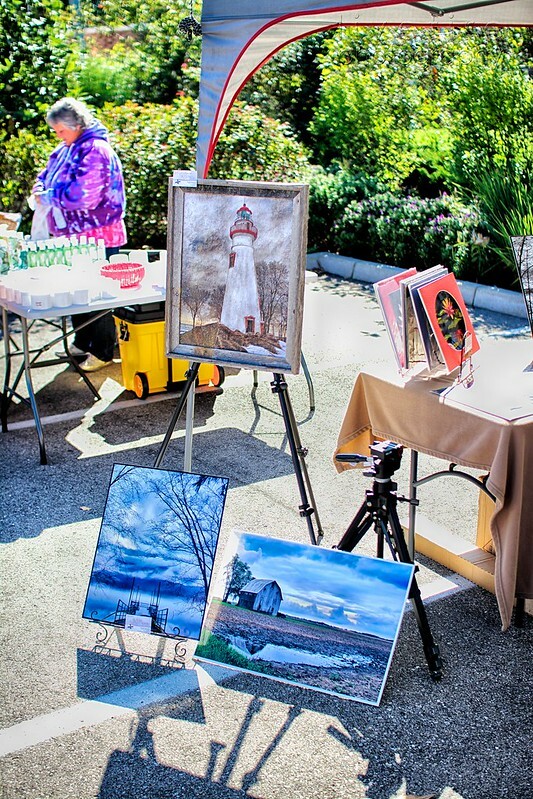 From Boosalis Bakery (my favorite local bakery) to local farms to artwork… even yoga done at the market! 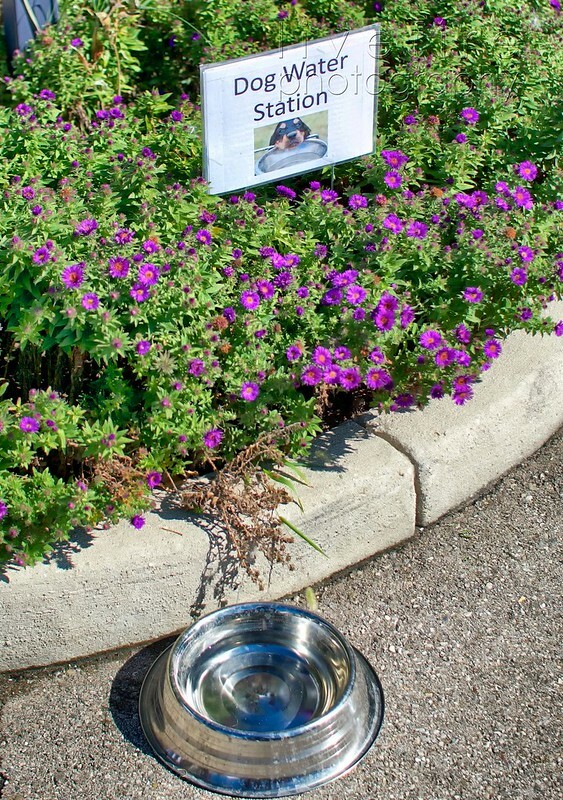 It’s dog friendly, and there were several dogs there. 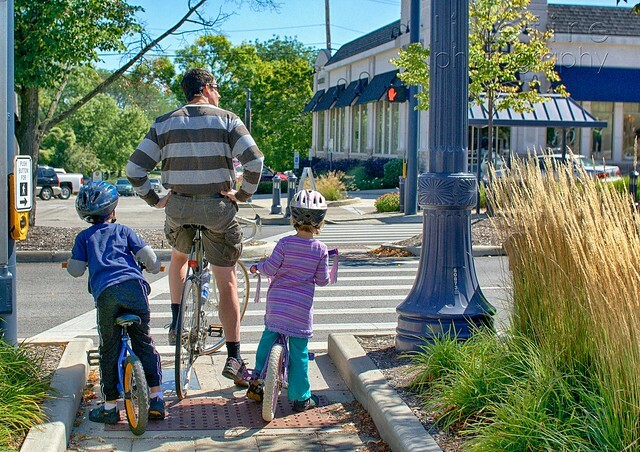 What I think makes a different in Oakwood is a large percentage of attendees just walk there. Honestly, it’s the first time in years I almost wished I lived in a town instead of in the country, but Oakwood will do that. Until you realize how much you pay in property taxes! We walked around, getting a pastry from Boosalis and talking to my friend, Vickie, who is selling her photos at various markets (find where she is, or ask me, and buy some really unique cards and prints!). Then we headed over to a deli that opened just this year that I wanted to try, Flyboys Deli. It was early (about 11:30, and only a few people were there, but that changed quickly as people began showing up. Flyboy’s has a counter right inside the door, with room on 2 floors with TVs, a bar and lots of wood. There’s also a rooftop patio, which is where we sat. My wife got a chicken wrap, and I had Sam’s New Yorker, which was pastrami, corned beef, cheddar cheese, cole slaw and Russian dressing. We also got rotini and potato salads. Before talking about the food too much, I want to say that the staff was great. They were all young men but one (the owner, I think). They were all also very pleasant and friendly. They smiled, looked at people when they talked to them, and showed me what I look for in staff at restaurants: they seemed to like their jobs and focused on customer service. it’s the kind of staff that welcomes people for the first time and invites them to come back. This isn’t always easy to do, and Flyboy’s does a great job here! Now the food… The chicken wrap was fresh and had chunks of chicken. It was different than I expected, but very good. My wife doesn’t care for lettuce that’s cooked at all, and the wrap was grilled a bit, but it had great taste. The rotini salad was great for someone wanting a pasta salad without mayo or added fat. Instead, it was fresh and had a vinaigrette on it. The potato salad was very fresh, with a bit of mayo and lots of herbs. I really liked it! Now to the Sam’s New Yorker sandwich. I’m not going to say that it was what I’d get in Manhattan… but it was still great! The meats were lean and tender; the marled rye was grilled well, and the slaw and dressing just right. This is the two best deli sandwich I’ve had in Dayton, Ohio, ever, along with DiSalvo’s deli’s proscuitto sandwich. I am so glad to see a real deli in the area, and even happier that it’s one that provides friendly service! Think I’ll be back? I’ll be looking for excuses to get back to Flyboy’s! Previous: Livefire Photography Is Up! 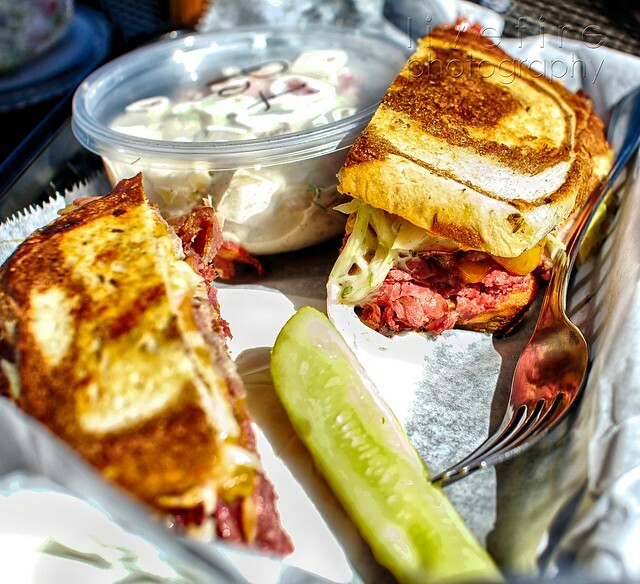 Pastrami and corned beef, that’s quite a pair!